Round Up: Let’s Eat Out! 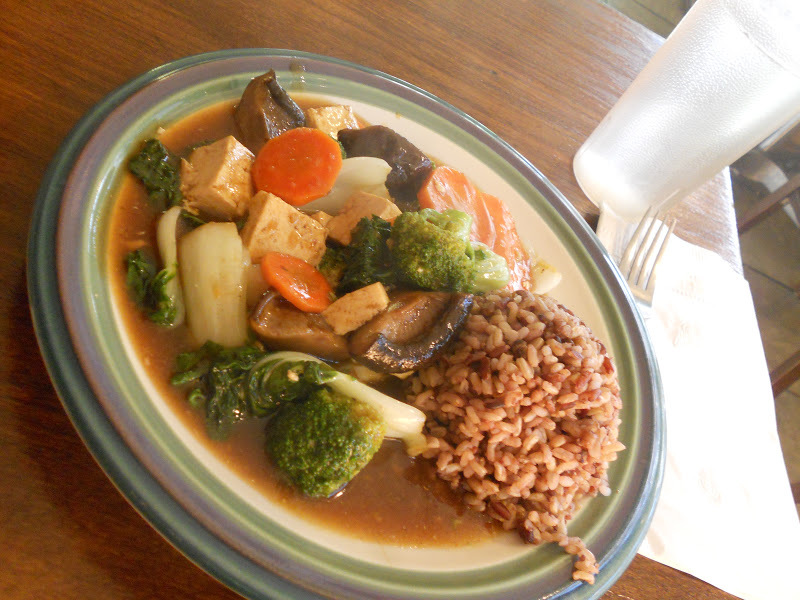 Vegan Good went to Tasty Harmony in Fort Collins, Colorado. Does that look good or what? NomNomNom! Food Feud went to Tiengarden in New York City. Old school N.Y.C. 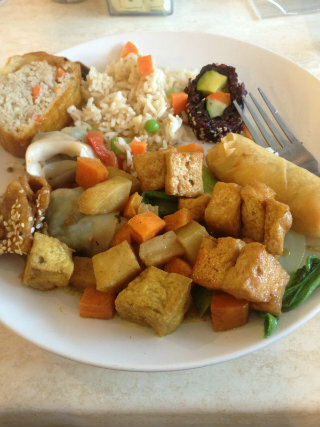 Vegan food rules! 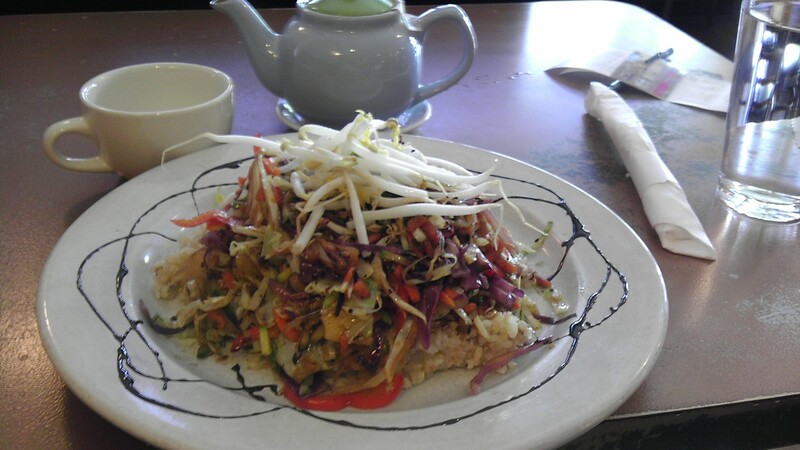 A Little Vegan Blog in Big Ol’ Texas went to Pepper Tree in Houston, Texas. Chinese Buffet!!! I’m so there, book me a flight to Houston. 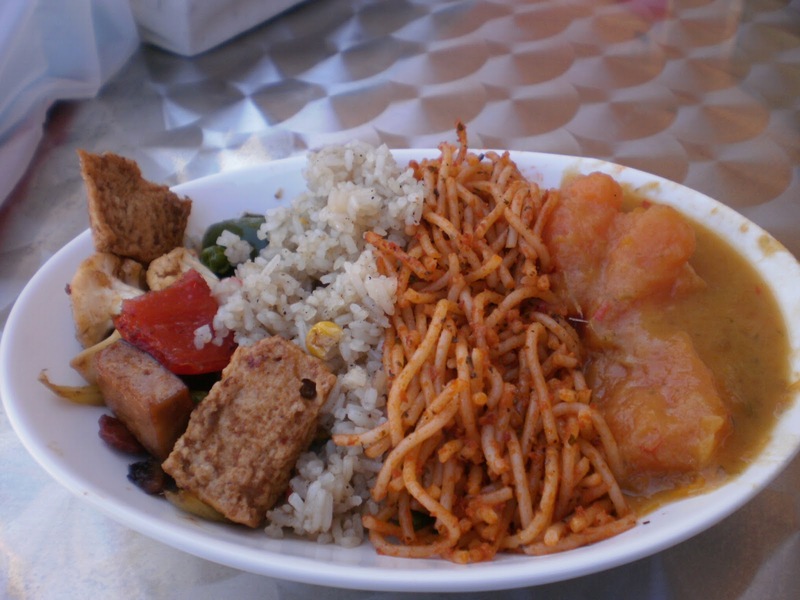 Vegan4Life went to Loving Hut in Perth, Australia. Mmmm! I love how every Loving Hut has different stuff. 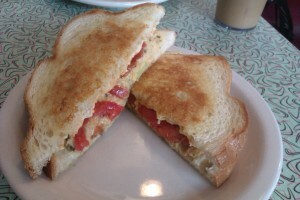 The New Vegan Table went to Sticky Fingers in Washington D.C. You know Sticky Fingers has some of the best sweets in the world, but do you know they have a “Tuna” Melt? Me neither! I love love love Minsky’s Pizza in Kansas City. The pizza is incredible – I’d be happy with a no cheese pizza – but it looks like they started carrying Daiya cheese since the last time I ate there. Yay! Ah!! Lovin’ Spoonfuls in Tucson has an AMAZING No Beef Stroganoff. I want it right now. Also, that coconut rice/spaghetti plate looks super yummy. It had me at vegan tiramisu…. I’ve been there! It’s a cool joint. Source is the best vegetarian restaurant I’ve visited in 20 years of living in the very veg-friendly San Francisco Bay Area! I wrote about Source in my VeganMofo blog just this past week. I had an amazing paella in Spain http://justbloggs.wordpress.com/2012/10/20/holiday-cooking-veggie-paella/ Inspiration! Flore restaurant in Los Angeles has some of the best stuff around. !